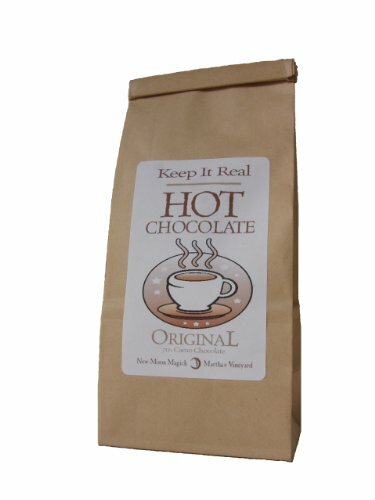 Chase away the cold and indulge yourself with our Keep It Real Hot Chocolate- made with our delicious 70% cacao dark chocolate (not cocoa) and just the right amount of our Madagascar vanilla sugar. This is the real deal, not coca mixed with dry milk. Simply add 2-3 tablespoons mix to 8 oz. of milk, heat and stir till blended. When the winter winds blow make a steamy cup of real hot chocolate to soothe and satisfy the soul! Please be advised that this product is naturally gluten free however is made in a kitchen where eggs, milk, peanuts, tree nuts, soy & wheat are also used.